I am trying to plan and stay ahead of the holidays before life gets crazy busy. For the next couple of weeks Freebie Friday will feature Thanksgiving topics. 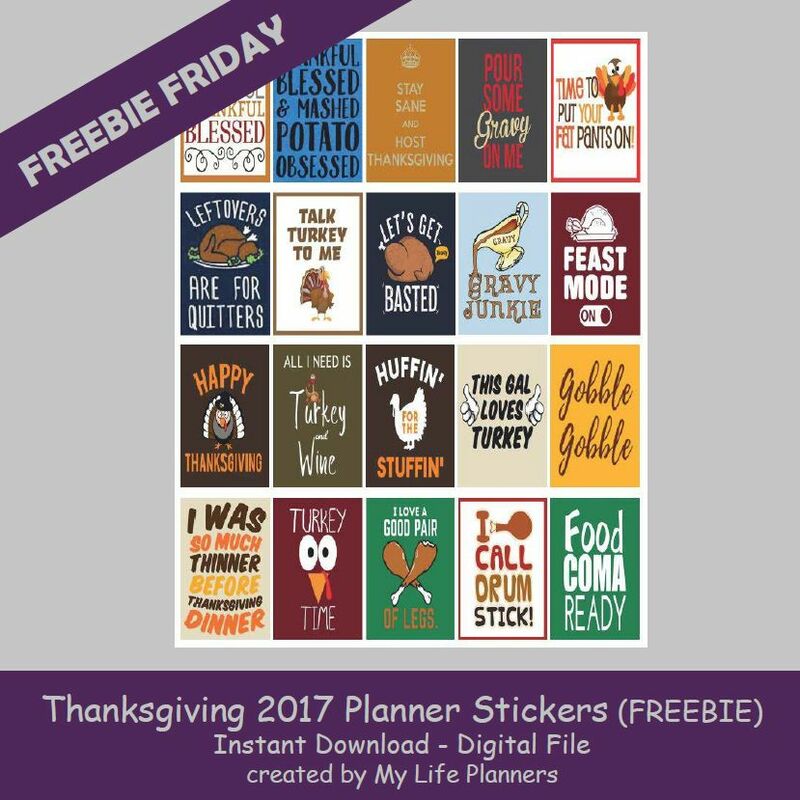 In case you missed Thanksgiving 2016 Planner Stickers you can download them from here. Will you be hosting Thanksgiving at your home this year? Would you like to be prepared and have everything planned to help it go smoother? Check out the Thanksgiving Planner at the My Life Planners Etsy Shop. This is a valuable tool that you can be thankful for year after year. Last year, I had a blog post for the 30 Day Gratitude Challenge. I wanted to share that link again for those that wanted to participate in it this year.